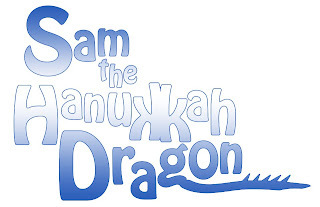 Sam the Hanukkah Dragon is coming to town…. From the mind of Hal Greenberg and the brush of Jeff Easley comes a new icon for the winter holidays, we have Santa, Rudolph, Frosty and now, Sam. Sam the Hanukkah Dragon is the story of a young dragon in a medieval village who is upset that there are no Hanukkah representatives. By trying to help his family he himself becomes that icon. This children’s book in the vein of Dr. Suess and fully illustrated by Jeff Easley will be a Kickstarter project in October 2013 and if funded will be released late 2014-early 2015. About Hal: Hal Greenberg is a five-time ENnie nominated game designer who recently started a new company, Samurai Sheepdog, with his previous business partner Doug Herring. Who knew dragons kept Kosher. This project sounds so awesome that I don't want to miss it if I get busy in October. Is there a way to join an email list to get reminded when this Kickstarter kicks off? I would say join the Facebook page: https://www.facebook.com/pages/Sam-the-Hanukkah-Dragon/432053033552295, Jeff is a little behind but I am still shooting for October Kickstarter, thanks for your interest!